MOULTRIE, GA (WALB) - An area hospital is kicking off the first new medical residency program in Southwest Georgia in 20 years. 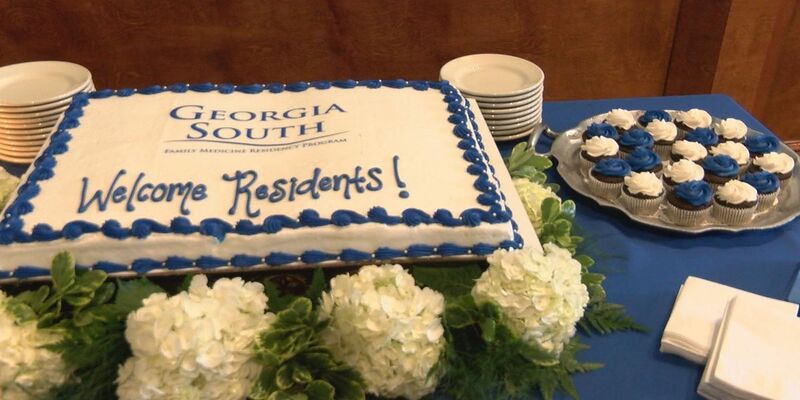 Tuesday night at Blue Sky Grille in downtown Moultrie, Colquitt Regional Medical Center hosted a welcome reception for the first three residents in the Georgia South Family Practice Residency Program. New medical school graduates will spend three years learning how to be family doctors. Hospital leaders hope most of them will stay in the area to practice. "So we think that this is going to provide a supply of docs to south Georgia that we desperately need," explained Colquitt Regional President and CEO, Jim Matney. "It's really exciting to be a part of something new in a small community like this," said new resident Dr. Jessica Brumfield. The program will expand to nine residents over the next three years. They'll train at Phoebe Putney for about six months before spending the following two and a half years at Colquitt Regional. Copyright 2016 WALB. All rights reserved.